Now is the time to eat kale salad, when the first bites of frost have rendered the leaves mild and sweet. As winter settles in kale will become more flavorful but also tougher – perfect for soups. Since I first ate kale salad a few years ago, I’ve been looking out for perfect tender kale to recreate it at home but always seemed to miss the season. I’ve finally caught the right time and decided to make a salad that best respects the essence of raw kale. 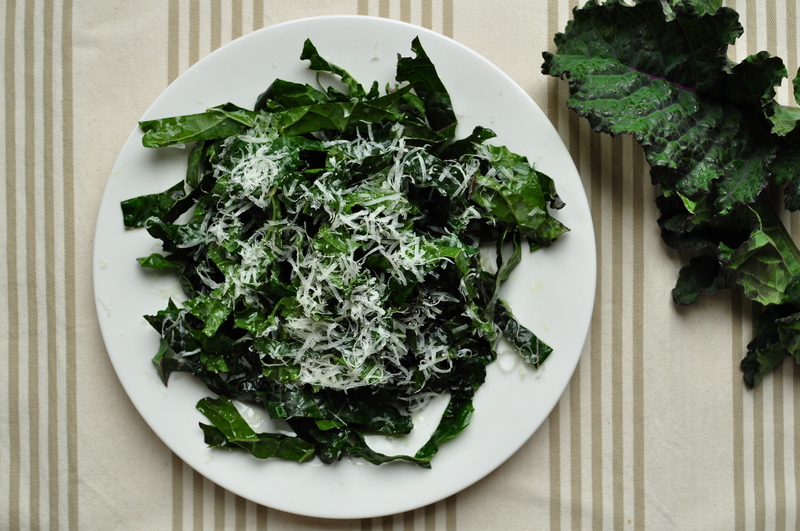 Since this salad is all about the kale, it’s not worth making unless the leaves are perfect. I prefer to use a less curly but rather crinkly variety, such as lacinato or rainbow lacinato kale. The leaves should be visibly tender – the best test is to break off a tiny piece and taste it right then and there at the market. Wash kale in cold water and spin or pat dry. Remove tougher part of the stem (fold leaf in half and cut off its thick “spine”). Cut leaves into tagliatelle-thin strips and place them in a bowl. Dress the kale with a generous dash of olive oil, freshly-squeezed lemon juice, a pinch or two of salt and freshly ground pepper. Toss well to coat the kale and let sit for 15 to 20 minutes. Place dressed salad on plate and grate parmigiano on top just before serving. 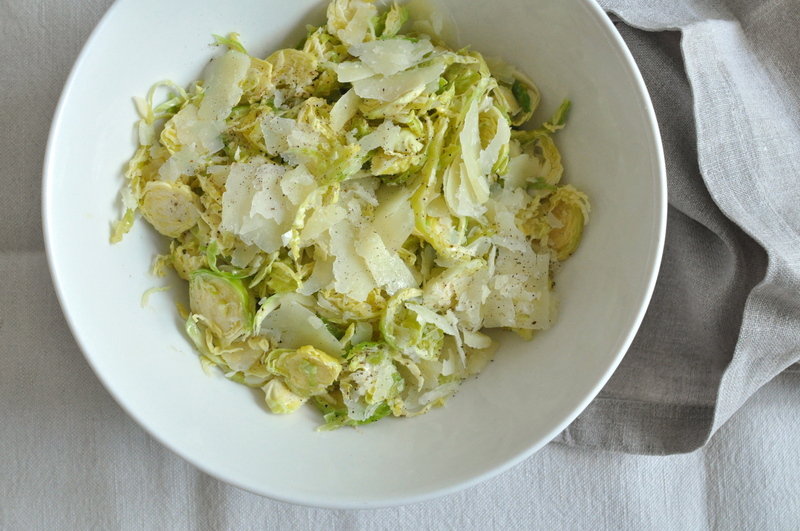 * I made this salad with parmigiano because I always have some at home, however I think it would be just as good (perhaps better, even) with pecorino or coarsely grated ricotta salata.